If you’re like me, you are interested in hearing about all of the new (disclaimer: most of them are not new) and interesting varieties of unique chocolates on the market. More than likely, however, you’re just thinking “Hey do you know how I can kill ten or so minutes? I’m really bored.” In that case, I’ve got you covered as well. Join me on an exciting (disclaimer: well… I’m sure you can figure this one out) adventure as I round up some of the best and worst gourmet chocolatiers have to offer. The Bizarre Bar Chocolate Round Up. 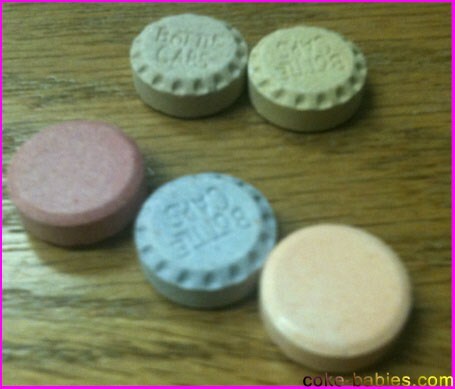 Wonka’s Bottle Caps have long been one of my favorite candies. The little paper wrapper packets you would get on Halloween were a rare enough sighting to keep them exciting. Then when you bought a theater sized box and ate them all in one sitting, that worked as well. Unfortunately, Willy Wonka decided that having a good heart was all it took to be put in charge of the company. Charlie Bucket clearly has no idea what he’s doing, and he’s starting to royally screw up. Sometime in 2009, Bottle Caps changed their beloved shape. 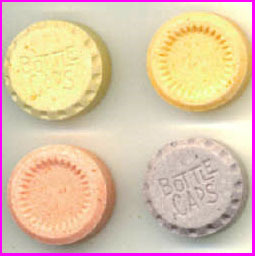 Do you know why they are called Bottle Caps? Because they are shaped like bottle caps. This seems reasonable enough, no? Tell that to whoever it was at Wonka that decided to change the shape from a Bottle Cap to an oversized SweeTart. When they were shaped like actual bottle caps, they were perfect. They resembled their name sake, and it gave them a very unique texture. There’s plenty of disc-shaped sugary candies, but none shaped like these. No other candy had that indentation on the bottom. And if another candy did, it doesn’t matter, because Bottle Caps wore the indentation best. Now Bottle Caps are soulless, flat-bottomed sellouts. They still taste good, but something is off. They seem harder than they used to be, possibly because the lack of the indentation gives them too much structural integrity. They’re definitely smaller than they used to be. Coca-Cola admitted they screwed up with New Coke. Tropicana changed its packaging back after they realized the new one looked like store brand orange juice. 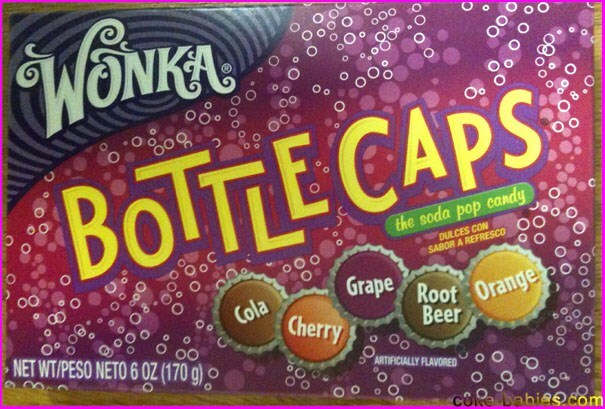 So now the logical thing to do would be for Wonka to admit that the new Bottle Caps are vastly inferior to their actual bottle cap-shaped predecessors. Look, Charlie is clearly in over his head. I don’t know whether he thinks this cost-cutting measure will help the company or what, but this kid has no business acumen. Maybe because he had a terrible education. His math teacher couldn’t even figure out what percentage two bars was out of a thousand bars, so when this unqualified hack is the one responsible for educating Charlie, it’s no wonder the kid grew up to be an idiot. It’s like they always say, “Don’t forget what happened to the man who suddenly got everything he always wanted – he inherited a great candy company and proceeded to muck up the proceedings.” Get it together, Wonka, and fix this mess.